The Tecnifibre Tour Line 12 racket bag features a foam padded backpack carrying system that ensures maximum comfort during transportation. It has been equipped with neoprene carry handle, air mesh pads and foam padded in order to absorb shocks at the back. This stylish bag is suitable for up to 12 rackets, which can be stored in two special pockets of the bag. Apart from them, the bag has 1 large central compartment, 1 ventilated shoe pocket and 1 small security pocket inside the right side racket pocket where small valuables can be safely carried. The bag offers the possibility to put a locker between the zipper pullers of the racket pockets. Air mesh pads and foam padded in order to absorb shocks at the back. 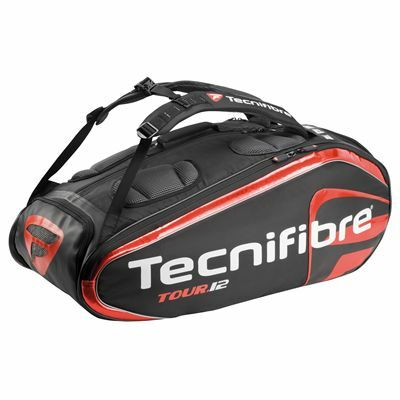 for submitting product review about Tecnifibre Tour Line 12 Racket Bag.